The Shaw Family Library Media Center is a state of the art multi-media and research facility on the campus of Gulliver Schools in Pinecrest Florida. This award winning design by Gili-McGraw Architects features a full and expansive impact rated commercial window wall system by Wind Ready. We faced and overcame several challenges on this project, among them the very large vertical fenestration spans. 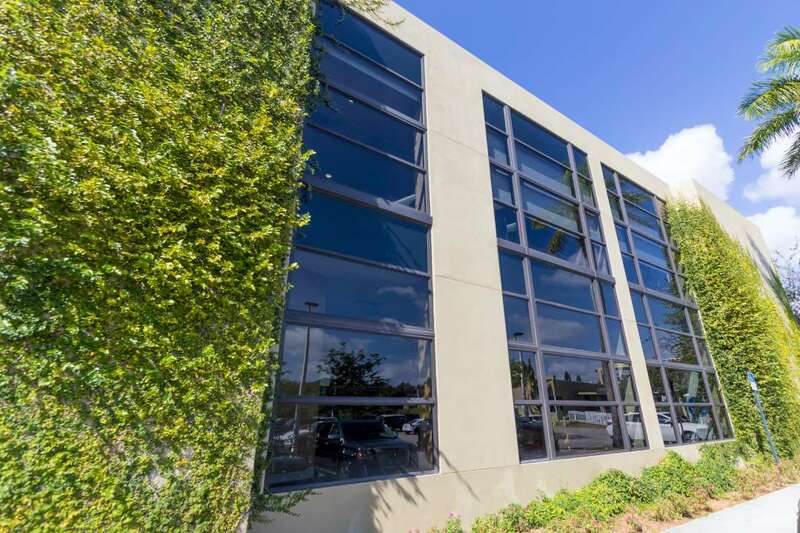 A great deal of custom colored and manufactured break formed metal was used to cover all exposed seal seamlessly integrating the new glazing with the steel substructure. Our most difficult task was staying on schedule. We had a very limited amount of time during the summer months between semesters to finish the project; however, thanks to careful planning and aggressive staffing, we were able to finish the project ahead of schedule and within budget. Today Gulliver Schools enjoys a state of the art facility with code surpassing impact resistant fenestration. They will continue to benefit from effortless and beautiful hurricane protection for years to come.